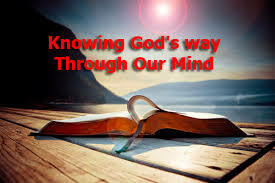 Knowing God is best depicted in one’s life when they follow His word (1 John 2:3-6), grow in his grace (2 Peter 3:8) and ultimately have a testimony of purity for His glory by following His commandments. It is very true. The intolerance of those decrying tolerance is almost intolerable. Proverbs 30:12 provides salient truths here. It says, “There is a generation that are pure in their own eyes, and yet is not washed from their filthiness.” This week a crucial vote took place in our Wyoming congress. As a voter and constituent of their representation, I communicated with them. The responses were judgmental, hypocritical, bigoted and in all ways representative of the attitude of unbelievers toward Christians in our world today. I was judged from a position of ignorance concerning my person, our ministry or my faith in Christ. Most didn’t even read what I said. However, there is a lesson in this. Just as Jesus told the Pharisees (who claim to know God) in John 8:19 that they did not know Him or His Father, believers must understand that people who claim Christ do not really know us or our Father in Heaven. Many are swayed by the waves of the worlds media at work and stereotype Christians the way they blame Christians for stereotyping others. How will we ever get past this my group your group stuff and redirect our passions to a proper and more beneficial activity. I believe it is through grace and mercy. Those two things must be given to one another and shared with one another regularly. The people of God must set the pace for this because the people of the world only see grace from their relative perspective. Proverbs 30:12 tells us about those in the world that desire their flavor of tolerance. Judges 17:6 tells us that when there is no leadership everyone does what they personally think is the right thing. Proverbs 12:15 tells us that those doing what’s right in their own eyes are fools. God’s way is the only way that is consistent in all things. God’s way is that all should come to repentance (2 Peter 3:9).God’s way is to send His Son to die for the sins of the whole world (1 John 2:2). God’s way is not politically driven, it is purity driven (1 Peter 1:16). God’s way is for us to share the gospel (Luke 10:2). God’s way is not through government or politics. Those leaders are always improperly influenced by their peers, pressured in the world they serve. God’s way is through His Son. God’s way is in Heaven. Knowing the Son we know the Father (John 14:9).